I designed this brochure in 2013. 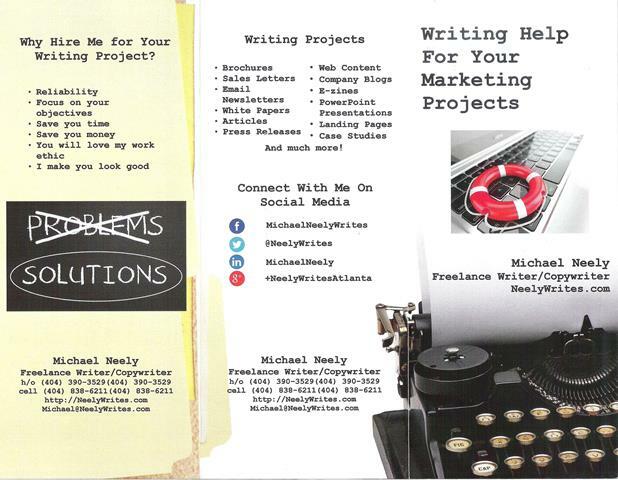 Ok, I used VistaPrint and ordered them online for my new writing business. About nine months later I got back into graphic design. This brochure did get the wheels spinning though. Many times I looked at this brochure and asked myself “How did they do that?”” Now, I know!